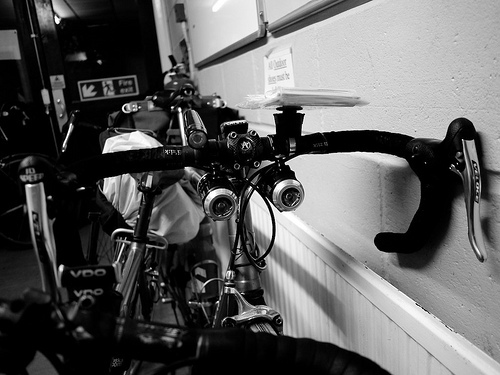 This article was prompted when long-term reader Nick F asked me about lighting for this summer’s 1400km London-Edinburgh-London audax; pretty much the ultimate lighting challenge and one with a large number of competing considerations. The ‘fit-and-forget’ option; I’ve had a dynamo hub and lights in daily use since Autumn 2011 (without any maintenance at all). It’s been so successful that my wife and I now have three hub dynamos between us. Initially, it’s undoubtedly more expensive to buy and build a dynamo wheel and the counterpart light. There’s no question it’s cheaper in the long run (I’m looking at nearly £100 to replace the Li-Poly rechargeable batteries for our MTB lights, where a dynamo has no real recurring costs) – but in fairness, if you’re speccing a lighting system for one event like LEL you might not get enough use out of the dynamo system to benefit from such long-term savings. With the lights off, the extra drag of a modern dynamo hub is said to be equivalent to climbing an extra gradient of one foot per mile (19cm per km). Over the course of 1400km that’s 265m extra to be climbed, but we should strive to see this in a proper context: using a tyre of moderate rolling resistance compared with a top quality one can add many times this much extra effort, while wearing a jersey or jacket that’s a little too big and flappy? All bets are off! When the lights go on, the friction from the hub will rise to the equivalent of around 5-6 feet per mile (a little over 1m per km) or around 1/10th of a percent. This is still far too small to be detected while riding and still significantly smaller than the differences between tyres – for comparison, if you change from an Open Corsa with latex inner tube to a Gatorskin the extra friction will be 2.5x higher than the hub dynamo on full blast. Of course, it also offers you the ability to charge accessories via USB (whether that’s a phone or a GPS unit) rather than carrying a dedicated USB battery pack. More drag again, but keeping things relatively simple and removing that worry over remaining charge. When it comes to the actual lights I have meaningful experience of only three: the Philips Saferide and the B&M IQ Cyo and Lyt. The latter would struggle at speed on open roads, in my opinion, but both the Cyo and Saferide put out lots of light. The Saferide, with two LEDs, is considerably brighter than the Cyo but on the flipside it seems to stop the wheel more quickly when spun by hand; I still have to do a detailed report on this light but wouldn’t be surprised to learn it’s drawing more power from the hub (in which case, you can choose how much friction and how much light you want buying one over the other). On balance if I had to choose just one for a brevet bike, I’d probably settle on the Saferide, although it’s hella ugly. At the other end of the scale you have rechargeable battery lights, which range from things like my Ay-Ups (with an external Li-Pol battery pack) to Fenix-style torches mounted with velcro or rubber bands. The obvious disadvantage is that you have to match your battery life to the amount of light you need, either by carrying sufficient spares to last the whole ride, finding time to recharge your batteries, or running your lights on a dim setting (or a combination of all three). On an event like LEL, it’s unwise to rely on charge points anywhere on the route (unless you provision them yourself!). Having said that, the efficiency of LEDs is now such that many riders do manage to get through even the longest events like PBP and LEL without too much difficulty using battery lights. If you’re lucky enough to spend time in a group, for instance, all but the first pair of riders can take advantage by running almost in the dark (this also makes life easier for the front-runners, as they won’t have to deal with riding into their own shadows if their lights are outclassed by those behind). That might not always be appropriate, but at least it is an option. 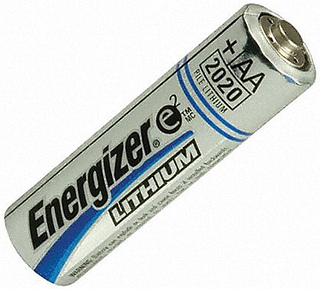 For dedicated eventing there is another option, in the form of AA lithium primary (non-rechargeable) batteries. These batteries aren’t cheap or environmentally friendly, but they do have the benefit of being extremely light and long lasting. With the aid of a battery holder pack from Maplin you can make up a 4, 5, or 6 cell (6-10V) DIY battery pack and wire on a connector as appropriate. I did Paris-Brest-Paris with my Lumotec IQ Cyo wired into a 5AA battery pack (yes, it works off DC too! ), and one of my Ay-Ups wired in parallel on a separate switch (providing a ‘high beam’ mode). I managed to ride almost right through three nights (and half of a fourth) on just ten AA cells, a total weight of 150g. See the separate article for more detail on my Paris-Brest-Paris kitlist. If you were to start this approach from scratch there’s also the option of the B&M IQ Ixon, which runs off 4AA batteries and is still perfectly respectable (if a little long in the teeth), rather than repurposing a dynamo light – although it must be said that the venerable IQ Cyo may actually be found cheaper, at street prices. One thing that has to be said about the AA approach is that you will need to wire up at least part of it yourself. You may consider this a bonus (you’ve carefully put something together and know exactly how it works) or a downside (your cack-handed soldering gives way at 3am in the middle of moorland half way through the ride). The advantage over stock LED lights really comes down to the low power consumption and high bang-for-the-buck you get with a dynamo lamp like the Cyo, so you can get away with much less in the way of spare batteries. On PBP I also had lithium AA (4x) in a USB battery pack to keep my Garmin Edge topped up, and that did give some leeway in terms of common battery spares early in the ride. However, because I didn’t want to carry enough batteries to power the Edge for all 90 hours, I turned it off at controls and thus lost some definitive data – not a problem if I’d had a dynamo to charge it constantly. Each type of lighting has its pros and cons and it’s not possible to say with any authority that you should choose one over the other. For starters, if cost is a major issue and you’re preparing for an event as a one-off, you will probably want to find a way to use your existing lights, appropriate or no (carrying spare batteries for a light which can use AA or li-ion 18650 cells). Alternatively, you might justify the purchase of a hub dynamo on the basis that it will see use on a commuter too (the wonder of always-on lights that need no thought – not leaving work to find you’re out of charge – can hardly be overstated). That being so, I can recommend Shimano’s newer dynamo hubs as a good cost-effective option (or for a little more, the Shutter Precision which is as efficient as it gets). For my part, I’ve just built a set of brevet wheels around the Shutter Precision SP8. I don’t struggle for time on events, so for me the drag (which you can’t feel) is an irrelevance; I’d rather know that I’m always going to have light, as well as enjoying the ability to charge my phone (which I hope to do via the new B&M Luxos light). As an unexpected bonus, the hub dynamo system actually saves weight over my original Ay-Up battery setup. I still have my Maplin battery pack for Lithium AA’s should I need to obsess over ultimate efficiency, in combination with my reliable old Cyo and Ay-Up LEDs. I’m not sure I will bother though, even for the next PBP. Wow! A whole article in reply my to my innocent question; I’m impressed! And another thoughtfully considered and well written piece as usual. I think you have comprehensively summed up the pros and cons of each option. My question was raised because I am participating in the LEL this year. If I survive it, I doubt that I’ll ever want to do anything similar again And since I don’t commute by bike, and rarely ride at night by choice, the arguments stack up against a dedicated system based on a dynamo hub. In the end I’ve splashed out on a Garmin GPS that runs on AA batteries, so I can use rechargeables on day trips and a supply of lithiums or alkalines to last the LEL. At home I’ve gone 100% rechargeable on batteries, but I’ve found they run much shorter in the GPS. 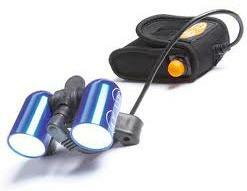 For lighting I already have a powerful Lezyne LED lamp which also has a replaceable battery, so I shall carry some spares for that too. If I were going to regularly ride at night (e.g. 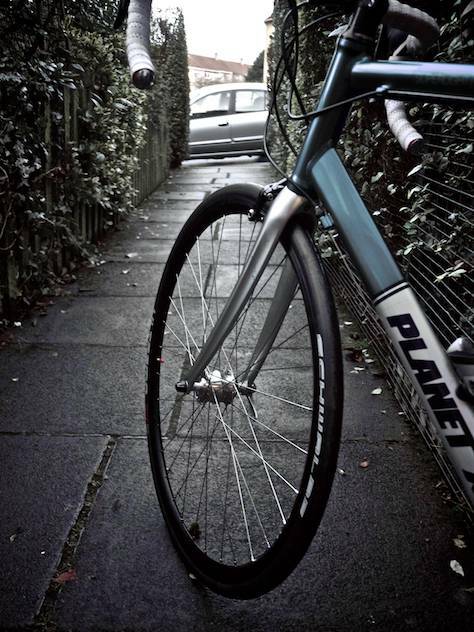 commute) I think your arguments convincingly point to using a dynamo hub. I’m impressed at the small size, light weight, and efficiency that modern units offer. Thanks for another good article. We still have battery lights, but while I lasted for years thinking there were any number of good reasons not to have a dynamo, twelve months after getting my first one, we now have three out of seven bikes with these hubs (a Sturmey, Shimano, and Shutter Precision). Top stuff. found on internet a website on a product called Magnic Light. A bicycle light system that does neither need dynamo nor batteries. Looks great, light and no drag. Have you heard about this. It is invented by a German. The best hub dynamos are around 70% efficient, that is if you want to make 6W of light you need to input 6 x 100/70 = ~ 8.5W of energy from the pedals. If the Magnic Light was 100% efficient, it would still cost 6W of energy from the pedals to produce 6W of light. So the difference would be only 1.5W, which is not a huge difference. That said, the video of Magnic Light running alongside a conventional dynamo does look good. I suppose the big question is how many watts of light the Magnic actually puts out. If you spun a conventional hub dynamo with a low power light it would obviously roll much, much longer than a high power one with standlight. Also, it looks like the Magnic is throwing a symmetrical beam. Suppose you aimed it right down the road, 50% of the light would be thrown into space, halving the realised efficiency. You don’t actually aim such a light horizontally, but it’s a key point nonetheless.